If you want to build a dynamic web site for your business then ASP.NET will be the best option for your Web Application Development. The ASP.NET developers at Arthisoft are experienced with developing web applications with excellent success rate with each project, like for building high quality and cost effective for the business of the clients. We organize and implement various features of ASP.NET to develop the best possible solutions and add all your requirements toe the web development. Our developers are having expertise and experience in Web Applications, ASP.Net consulting, developing desktop application and having success in all the projects. We have provided best solutions to the all clients and also helped them grow their business and maintain their web application. With all the necessary qualification and expertise in this field, the ASP.NET Developers from Arth-I-Soft are capable of providing complete support and solution to all the clients and we also make sure that all the projects are delivered on time completing all bug testing procedures. How we can help you with ASP.Net? We have experience and proficiency in projects like blogger system, activity management system, worksheet and timesheet system, social networking and much more. We can provide solutions to all variety of projects like for health care centers, manufacturing services, industrial services, etc. We also provide custom .NET for Desktop and web application development. We have developed projects like E-Commerce Shopping Cart systems. 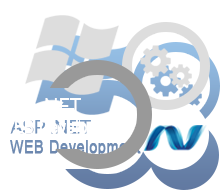 Our developers do the supporting, maintenance and Reengineering of the web applications of ASP.Net.